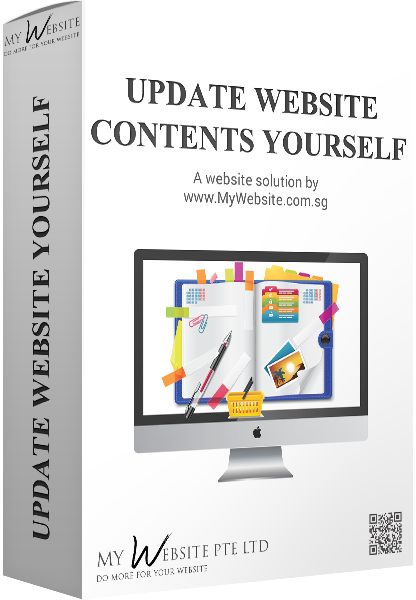 If your business nature is such that you need to change the contents, pricing, images, etc on a regular basis, then you will need this Update Your Own Website System. We can either develop the system for you or we can convert your existing website to one whereby you will be able to do some simple updating on your own. All you need to make changes is to log in, look for the product you wish to make changes to, click on it to edit, change the descriptions or price, click ok, and it's done. 3 Steps is all it takes. Check out the video to see how easy it is to edit your website. i. Flexible updating system- We can customise it from top to toe, unlike templates! ii. Possible to program it to an online order store. iii. Low maintenance- You don't have to pay for updating contents that needs regular changes. Price stated is for something like what the video has shown. Further customisation requires further costing. We will be able to confirm the total costing if we are able to discuss with you further and get information about your needs accurately. Click the relevant buttons to contact us or to get us to call you back.